Aspects of the slave's medical knowledge came from Native Americans and white people. 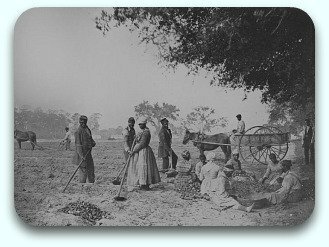 Americans Indians and Africans often shared their experiences of slavery. They shared remedies, myths and legends, lived together in the communal quarters, worked together and produced combined recipes for food, they also intermarried. 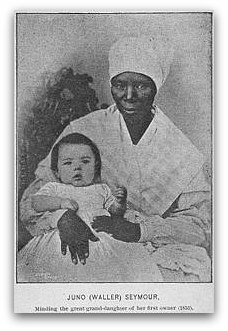 African Americans and whites lived together on plantations, their children played together and Black female slaves would often look after the white children. Here are some of the old home remedies used by black slaves. Sage (slavia spp.) was used by the slaves as a mouthwash and a sore throat remedy it was also used as a colic remedy for infants. Boneset (eurapatorium perfoliatum) is used for colds. Pennyroyal(Mentha pulegium, hedeoma pulegioides) was used for headaches, reduce fever, relieving pain from toothaches and fighting colds. Dogwood and cherry trees (cornus spp and Prunus serotina) were used for a variety of purposes, dogwood bark and cherry were simmered to create a remedy for fever and chills, dogwood bark was used to make tea to treat malaria. Mustard and wholewheat flour were mixed together with water to make a plaster. Gum turpertine from pine and fir trees were used to treat bronchitis, toothaches and other illnesses. Quinine was used to treat malaria and nighttime muscle cramps. Echinacea was used to make tea to treat cramps. Additionally it was used to treat stomach pain and mixed with whiskey or camphor and bloodroot for joint pain. Elder was used for bladder infections and fevers. Infants wore elder leaves around their neck to prevent teething. Flaxseed was used for mild ailments, like mild indigestion. "Missus Martha sho' did look after de slaves good when they was sick. Us had medicine made from herbs, leaves and roots; some of them was cat-nip, garlic root, tansy, and roots of burdock. De roots of burdock soaked in whiskey was mighty good medicine. We dipped asafetida in turpentine and hung it 'round our necks to keep off disease."